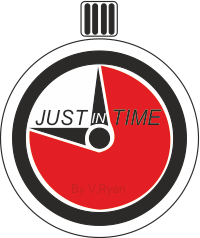 WHAT IS JUST IN TIME (JIT) ? 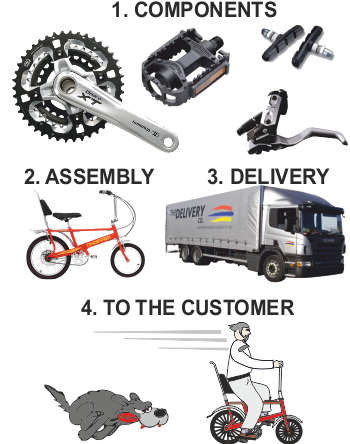 Just in Time, is a system of organisation used by some manufacturers. JIT, also called Lean Manufacture, is a system that relies on purchasing just enough materials to manufacture a batch of products, once an order from a customer has been placed. Over ordering or storing materials is not permitted. JIT aims to eliminate waste and to speed up the supply of products to the customer. JIT relies on the manufacturing company having a very good business relationship with suppliers and distributers. Delays must not happen. Order for batch of manufactured products arrives. Materials for production line ordered. Materials arrive within 24 hours. Materials pass down the production line and the batch is manufactured.